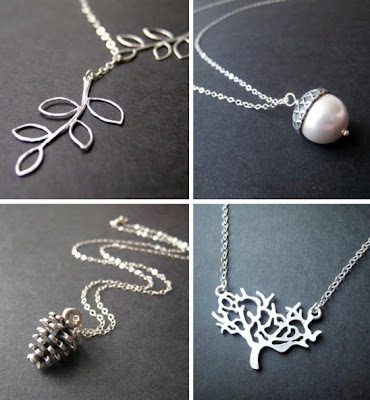 I love these adorable nature-inspired necklaces are from Red Poppy Accessories. I think I want all of them! See their Etsy shop here. These are so pretty! Love the leaves!